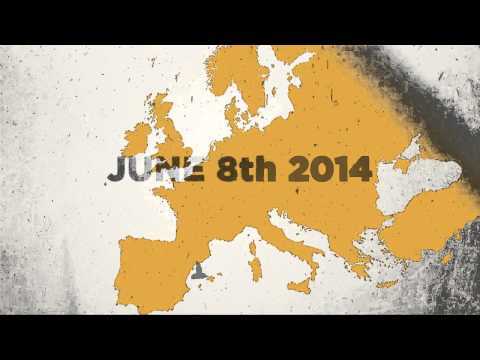 Do you wish Catalonia becomes an independent country? 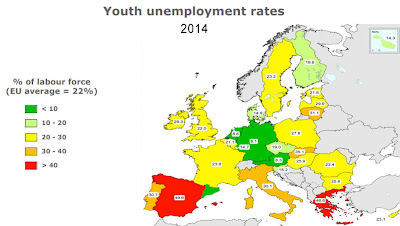 Voleu que Catalunya esdevingui independent? The Catalan independence or separatism movement is a political movement, derived from Catalan nationalism, which supports the independence of Catalonia or the Catalan countries from Spain and France. Support for Catalan independence is based on the thesis from the 19th century that Catalonia is a nation, derived from contemporary political and cultural ideology based on the history of Catalonia, the Catalan language and Catalan traditions. 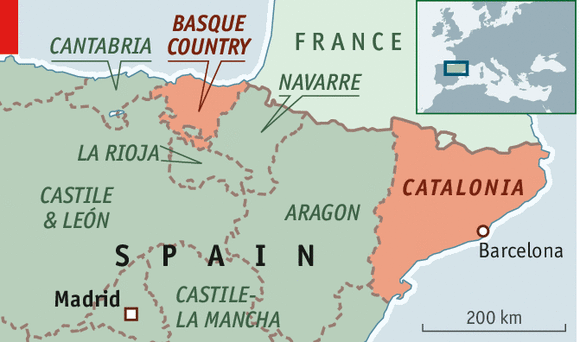 The beginnings of the separatism can be traced back to the early 20th century, when some organisations and political parties started demanding full independence of Catalonia from Spain. 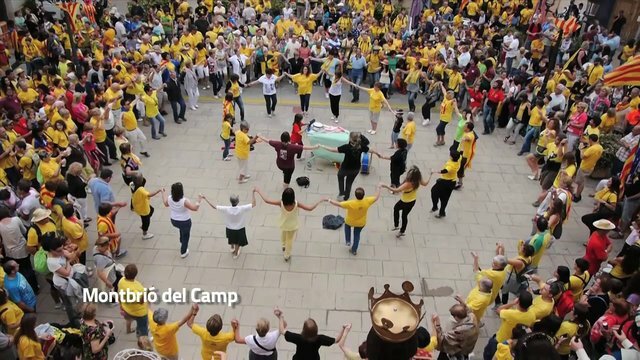 During the following years, and mainly because of the Franco regime's oppression of Spanish and Catalan people and culture, the movement gained more sympathizers. 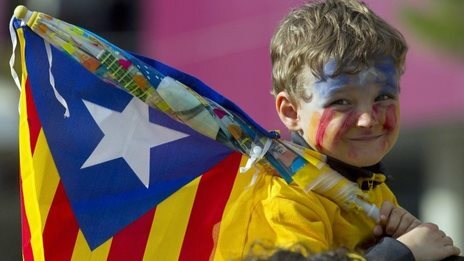 More recently, there has been a substantial increase in the number of people who openly consider themselves independentists, which led to massive demonstrations with more than 1 million participants claiming the self-determination right for Catalonia, and non-binding and unofficial referendums in municipalities around Catalonia. 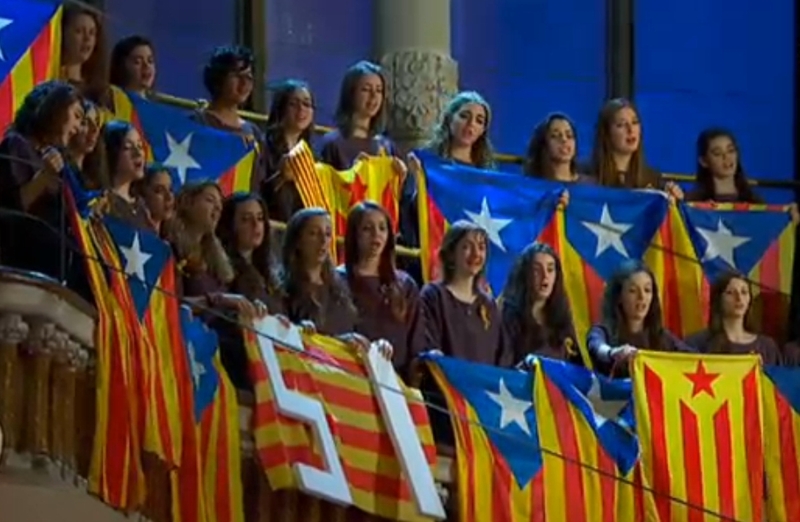 Although the ruling party (pro-independence) lost some deputies in the parliament of Catalonia because of the austerity cuts, after 2012 elections, the majority of the parliament in Catalonia is favorable to conducting a referendum of independence, and 55% of it is composed of openly separatist parties. 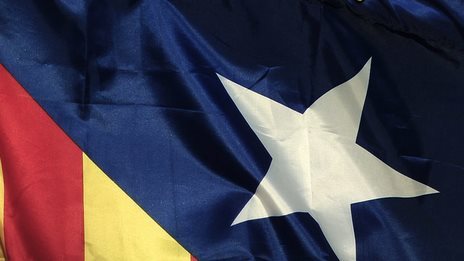 The Estelada flag, in its blue and red versions, has become its main symbol. An informal vote on independence for the Spanish region of #Catalonia has shown more than 80% in favour, officials say. The last decade saw a leftward shift in Catalonia’s political scene (and Spain’s at large), bringing the region closer to an independence vote. But will Madrid ever accept such a bid? And they still don't understand why catalans don't feel "spanish"
Parties in the Spanish region of Catalonia agree to hold a referendum on independence next year - but the Spanish government vows to block it. Many Catalans are not amused by a "joke" tweet threatening a police crackdown if they vote for independence.